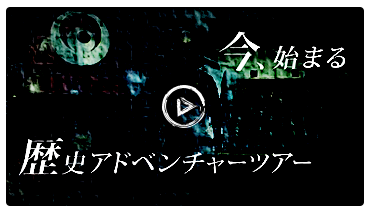 Eagle Talon's SHIROZEME｜Official website｜The first SHIROZEME event in Japan — at an actual ancient castle! Tickets Release Date of is July 8!! The castle is beautiful and magnificent. Today, we admire our predecessors for building such huge structures. But are we really grasping the importance of the wisdom of our ancestors? This castle was a fortress, built with centuries of wisdom and knowhow, putting their very lives on the line. It's time to learn with our minds and feel with our hearts as we lay siege to the castle! This is "Eagle Talon's SHIROZEME." 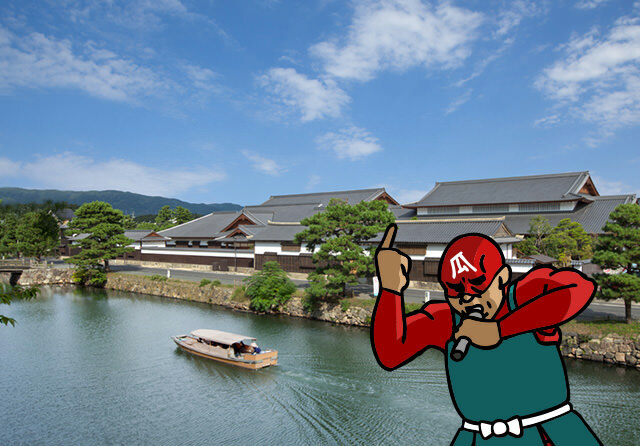 The memorable first event will be held at Matsue Castle, located in Shimane, a place with deep affinity for Eagle Talon's chief character: Yoshida. Besieging and guarding, you will learn the greatness of the castle. 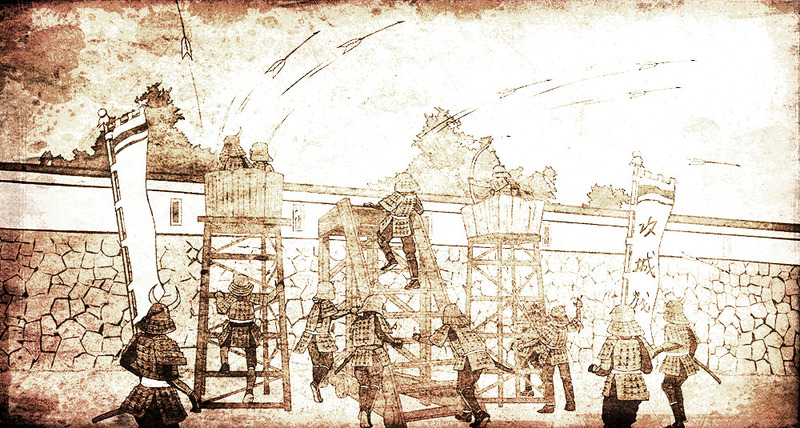 The main event will be the exciting experience of "laying siege to the castle" on the actual castle grounds, just like in the Edo or Sengoku period! Break down the gate! Sword fight with other battlers! Learn about historical tools and equipment forged through the wisdom of brave ancestors! * NOTE: An advanced ticket is required for the SHIROZEME event. 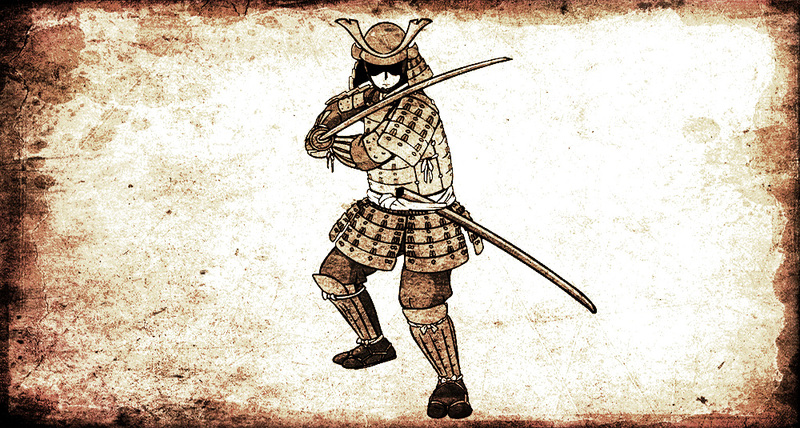 Lay siege to the castle wearing traditional Japanese armor! You can either participate with a "premium ticket" that includes special armor or you can use your own original armor. Come and let's attack the castle!Premium tickets including the armor will be released soon. We reproduced the gate near the Otemon in Matsue Castle, like in the Sengoku period, just so YOU can experience the authenticity of breaking it down! 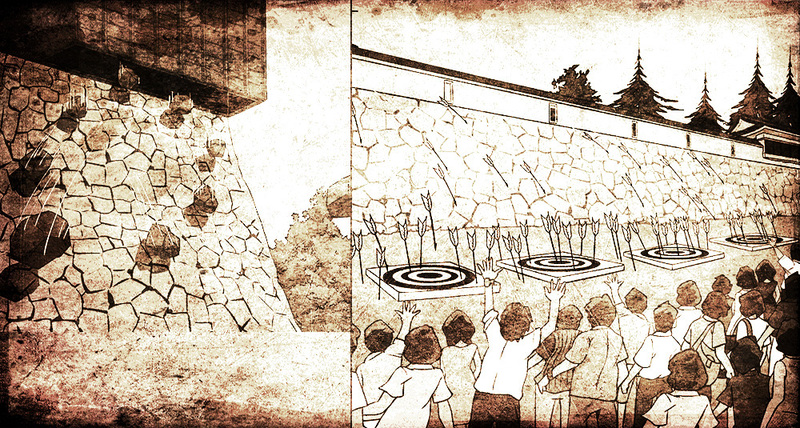 Attack the gate, dodge the guard's severe archery attack and storm the castle! The castle's stone walls are the toughest part to overcome when you are storming a castle. By using "Gyotenbashi" (ancient movable stairs), you get to retrace the steps of the ingenious ancestors, avoid enemies and breach the wall! 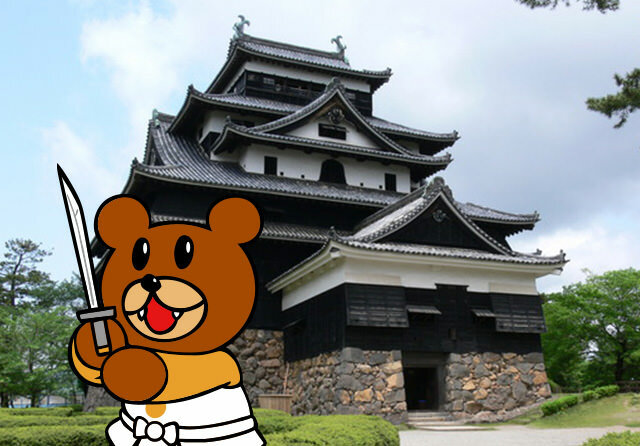 You will be conscripted into the official Matsue Castle Guard! Undergo training by the veteran commander and keep watch inside and outside the castle. Experience historical adventure on a castle tour, never knowing when you may meet an invading enemy. Wearing armor, join in exciting melee in an actual castle! Create a battle formation in the heat of attack along with your fellow conscripts. 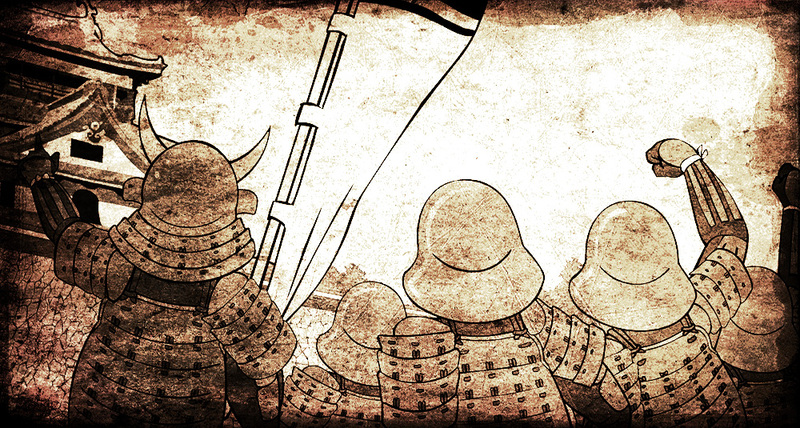 See how it really feels to be an ancient soldier and challenge yourself to survive the battle! Is it really possible to loose an arrow from holes in the castle walls? In our minds we see the image, but we've never had the chance to experience making it happen ourselves. Come take aim, fire, then drop stones on the invaders! 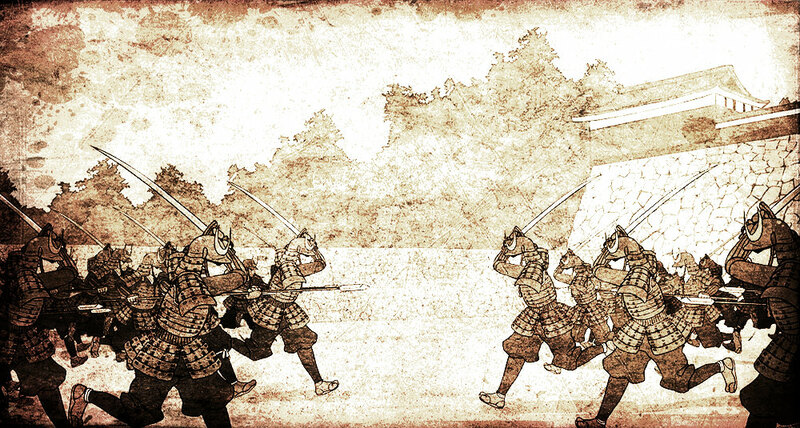 *Ishi-otoshi literally means stone-dropping because soldiers used to drop stones on enemies trying to scale the walls. Lay siege to the castle wearing traditional Japanese armor! You can either participate with a ��premium ticket�� that includes special armor or you can use your own original armor. Come and let's attack the castle!Premium tickets including the armor will be released soon. The castle's stone walls are the toughest part to overcome when you are storming a castle. By using ��Gyotenbashi�� (ancient movable stairs), you get to retrace the steps of the ingenious ancestors, avoid enemies and breach the wall! In the central tower of the castle, valuable historical records are displayed. Matsue history center will introduce you to the whole history. Learn more about the castle before you lay siege to it! *NOTE: Some of the events require an advanced ticket. Come visit booths in the main square directly in front of the Shimane Prefectural Office Building, adjacent to Matsue Castle. Taste the local food as you tour the area. 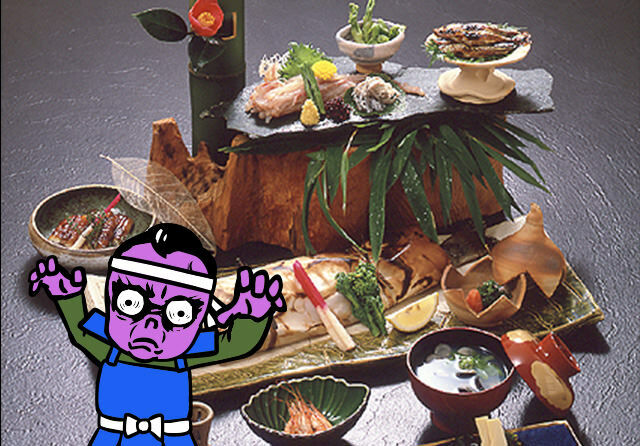 The official booths allow you to experience culture and history and offer special SHIROZEME products. *Note visitors without tickets can also access the official booths and square. Don't just stop at the castle. Although the castle itself was central, the lower areas were also used for defense. We have planned a historical tour involving the entire local shopping district. Come experience the ingenious layout of a castle town! *NOTE: Some of the events require an advanced ticket. Matsue. It's not only famous for the castle! Matsue castle in Shimane is a magnificent time capsule that has handed down the ancestors' wisdom for 400 years. 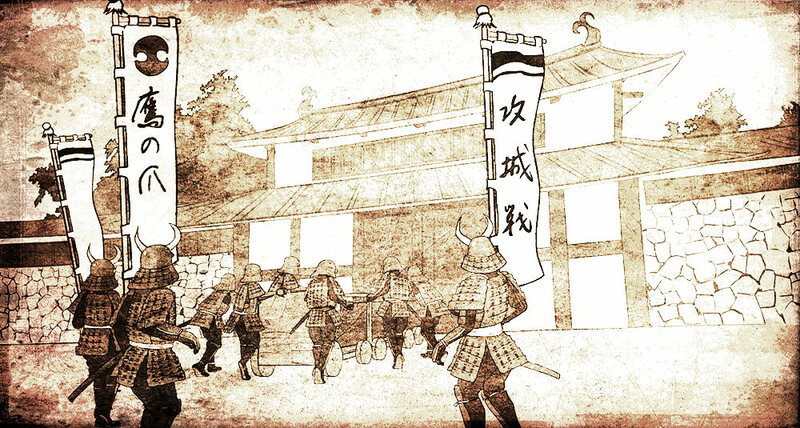 Come study more about the castle and this place called Matsue. The western god of marriage, Izumo-taisha (the grand shrine). The east Japanese monster's hometown, Sakaiminato. Matsue is sandwiched between those two geographical locations. Also, there is Iwami-ginzan, the world heritage, where the Yamata-no-orochi story takes place. It is also close to Unnan City. Come to Matsue and experience the history of both ancient and modern Japan! Sponsor：NISSIN FOOD PRODUCTS CO., LTD.Suntory Holdings LimitedMEGANESUPER CO.,LTDYAMAKI Co., Ltd.
Joint Sponsorship：Shimene PrefectuerSan-in chuo television broadcasting co.,ltd.